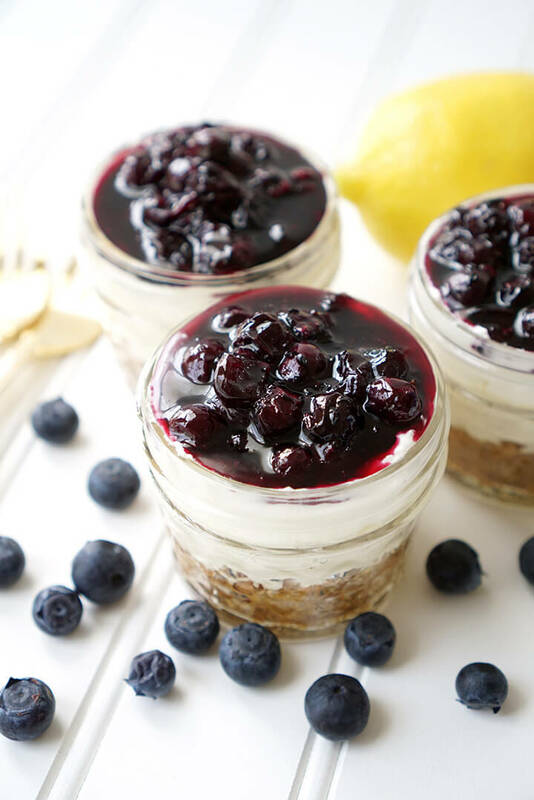 These quick and easy no-bake lemon blueberry cheesecakes are made perfectly portable in tiny glass mason jars – perfect for your next picnic or outdoor event! The weather is warm, and picnic season is upon us! 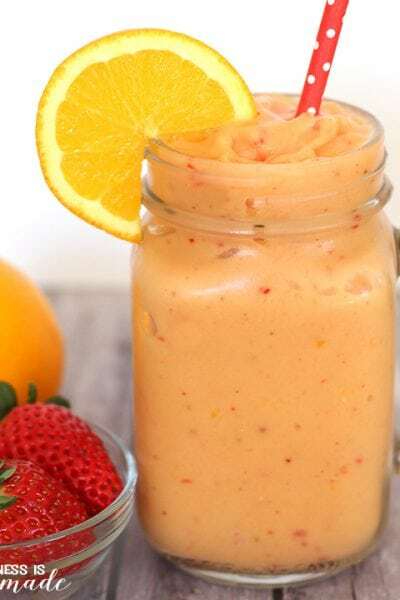 Picnic foods are some of my favorite foods, because I love the idea of making a meal fun and portable. 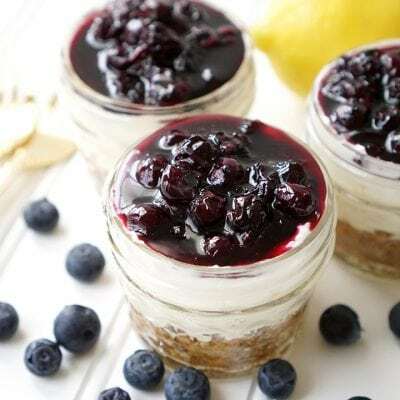 I whipped up these no-bake lemon blueberry cheesecakes in about 10 minutes, and they are seriously one of my favorite desserts that I have EVER baked, er, NO-baked! 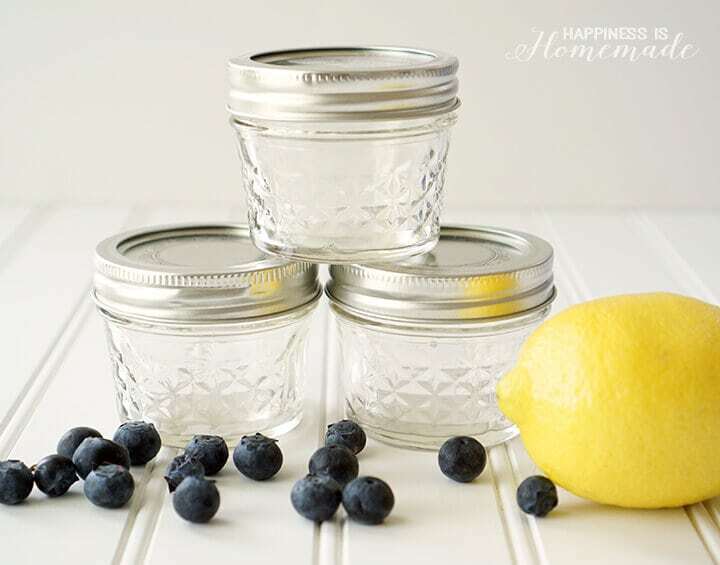 Lemon, blueberry, and mini mason jars…my newest favorite combination! To make my cheesecakes portable and picnic ready, I no-baked them in these cute quilted 4 oz. mason jars. They’re the perfect pre-portioned size for a single-serving dessert. Plus, they’re totally adorable. The crust can be made with graham crackers if that’s what you happen to have on hand, but I prefer to use my favorite Honey Snack Grahams from Horizon Organic. 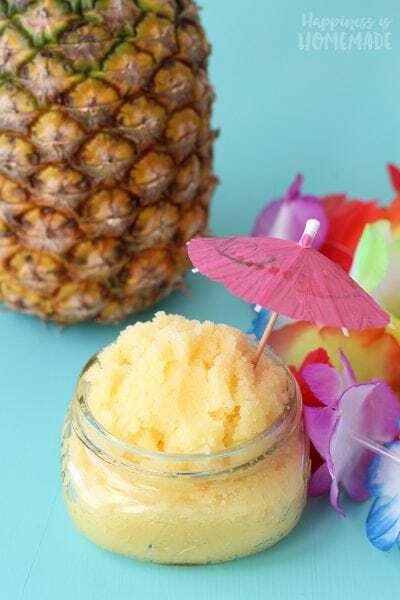 It gives the dessert a whole new layer of flavor that can’t be beat! 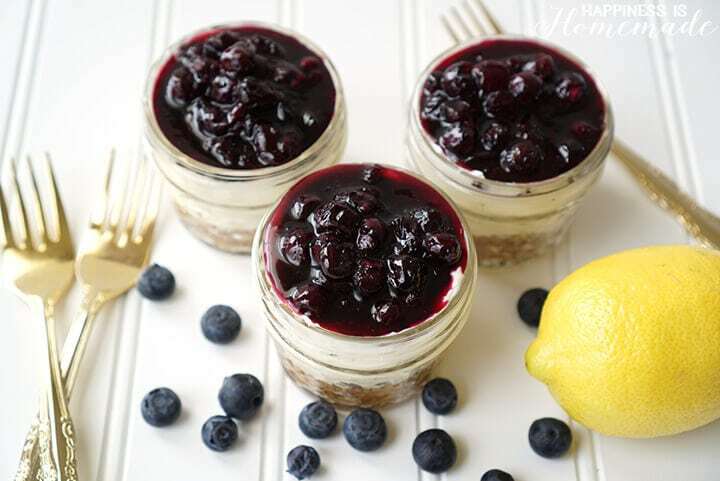 The fresh blueberry sauce is simply made from ripe fruit and a bit of raw sugar (you can substitute honey if you prefer), and it tastes like heaven on top of the creamy lemon cheesecake. 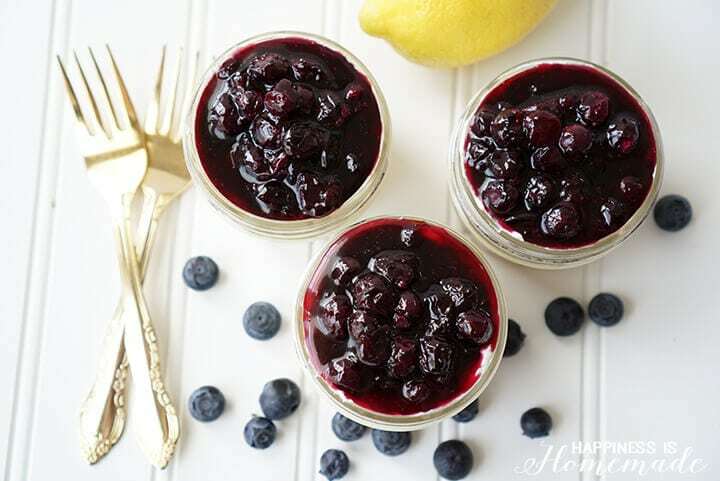 In a small saucepan, gently simmer blueberries, water, and sugar for 15-20 minutes or until blueberries have softened and sauce has thickened slightly. Set aside and allow to cool. 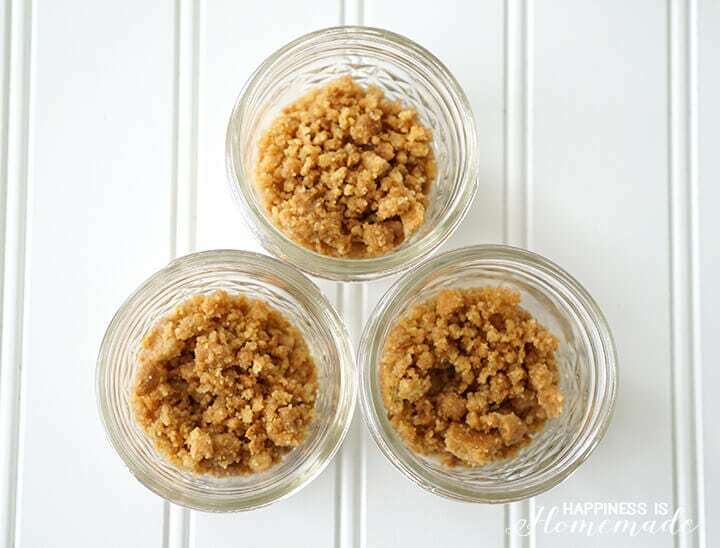 In a bowl, mix together the graham crumbs along with the melted butter and brown sugar. Spoon 1/8 of the mixture into each of the mason jars, pressing down to firmly pack the mixture into crust. Use a mixer to beat together cream cheese, sugar and lemon juice. Top the graham crust with a layer of lemon cheesecake mixture and a layer of blueberry topping. Chill in the refrigerator for an hour before serving. The lemon flavor in this cheesecake is mellow and mild, so if you prefer more pucker, add an additional 1-2 tbsp. of lemon juice to the recipe above. Adorably portable (how cute are those little quilted mason jars? 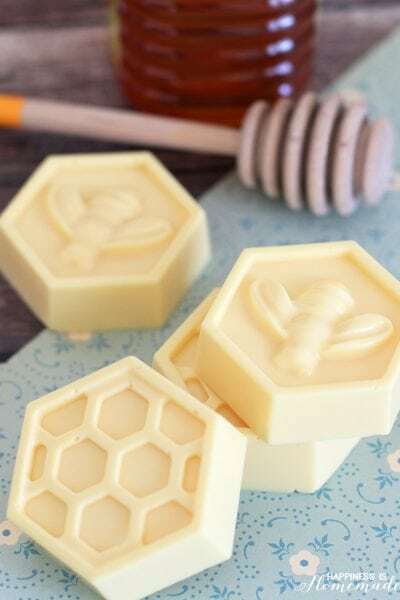 ), easy-to-make (you don’t even have to bake it! ), and perfect for your next picnic! 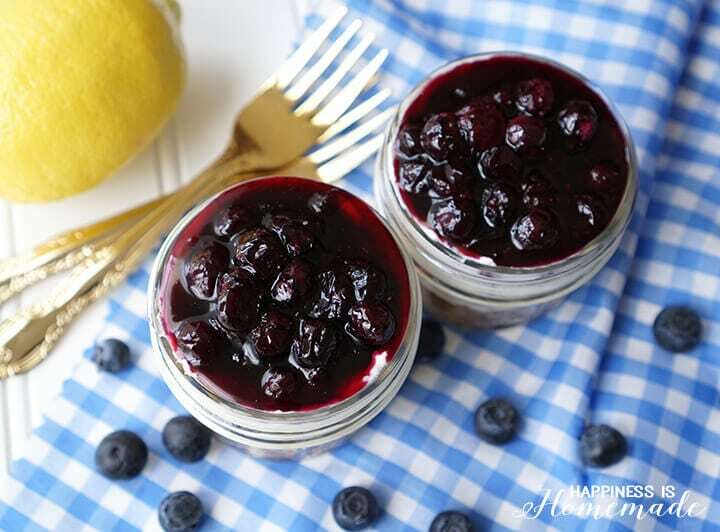 These lemon blueberry cheesecake jars are seriously my new favorite dessert! 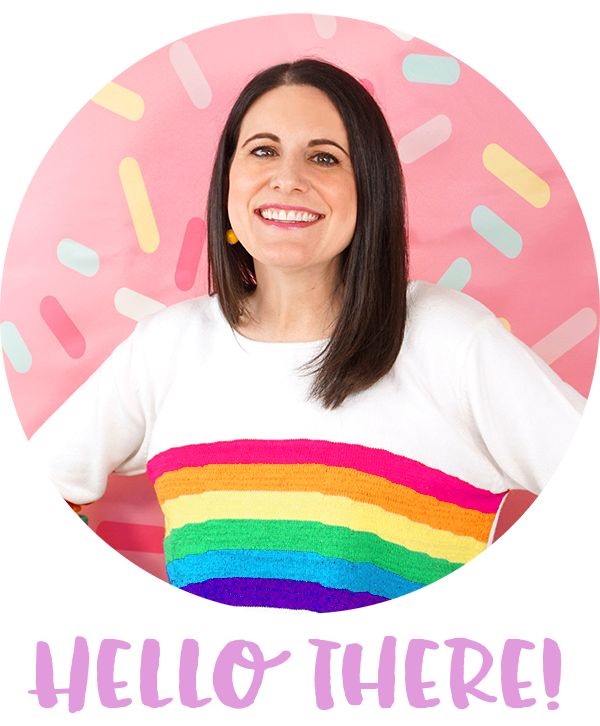 My #CreativeFoodie friends love picnic food just as much as I do, and they’ve come up with some seriously delicious dishes – check ’em out! 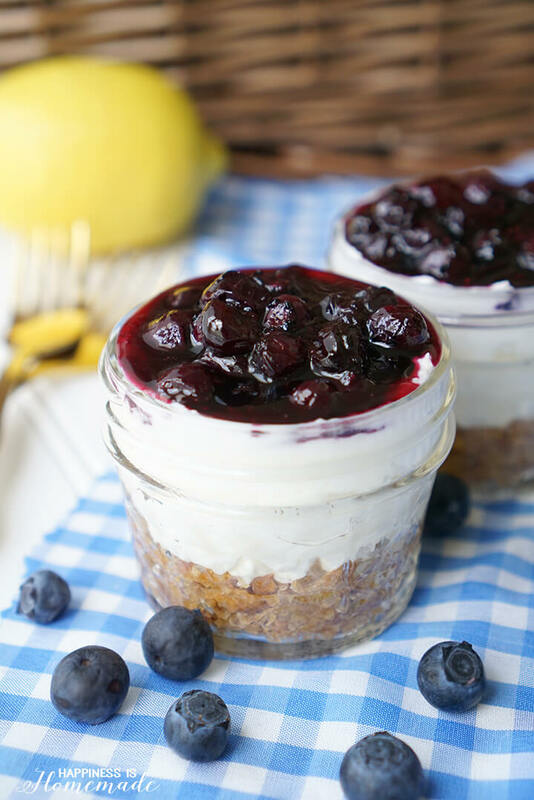 no bake cheesecakes in a jar are a STAPLE at our summer picnics! 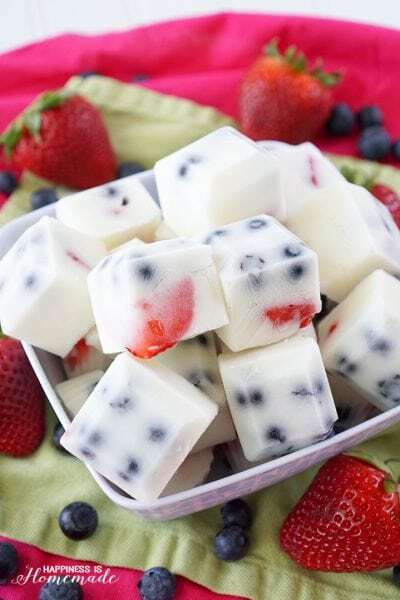 seriously best picnic dessert EVER! Can this be made a full day early? Will the crust be mushy the next day? 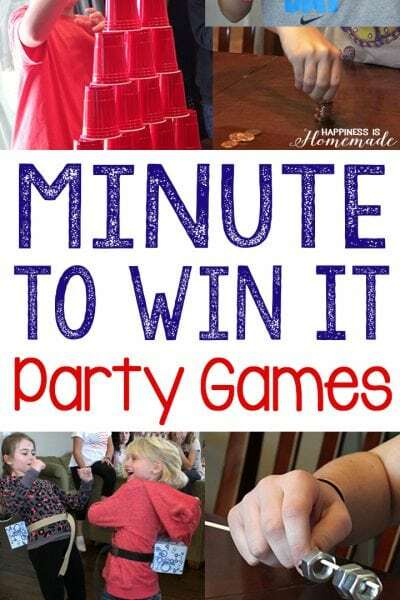 Need to know for a baby shower.